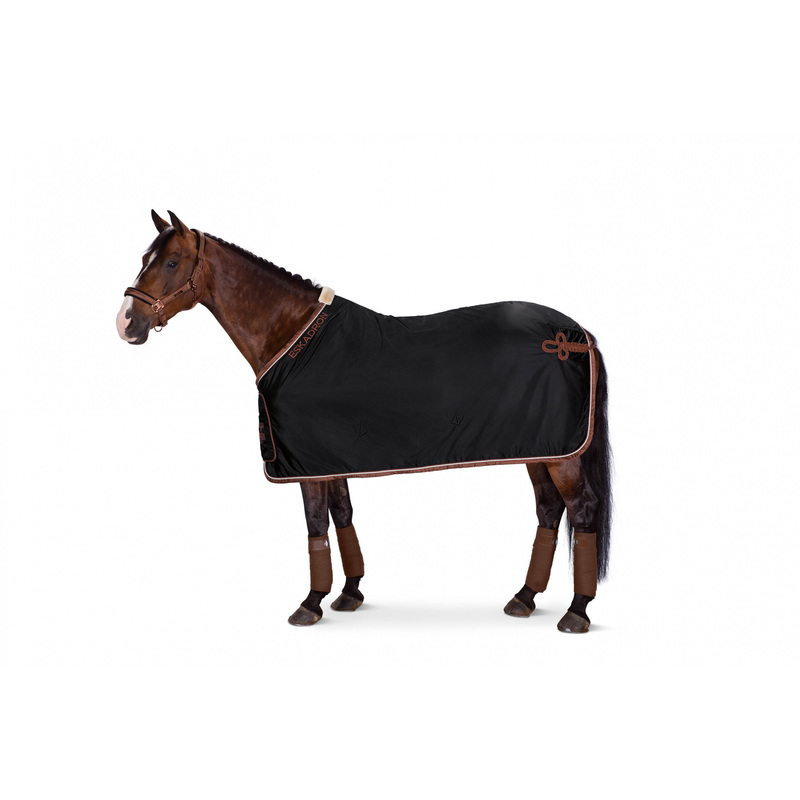 Elegant exclusive show rug from the latest Eskadron Heritage collection. It is made of a smooth, shiny material. This rug will be perfect for competitions and shows. There is a big panel with an ornamental embroidery on the front fastening. 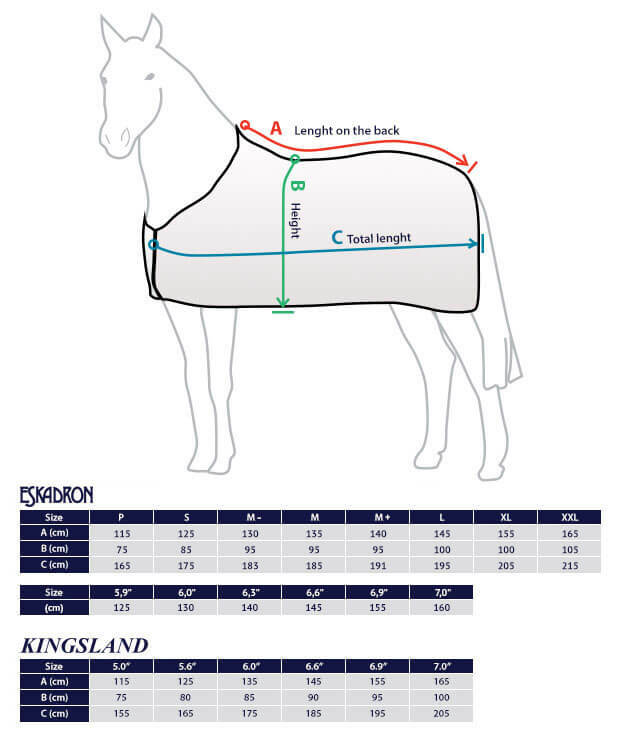 On the withers, it is lined with light fur, which prevents chafing. A tail strap prevents it from shifting. This rug has cross straps on the belly that go under the rug, so they are not visible. It is edged with a decorative trimming. 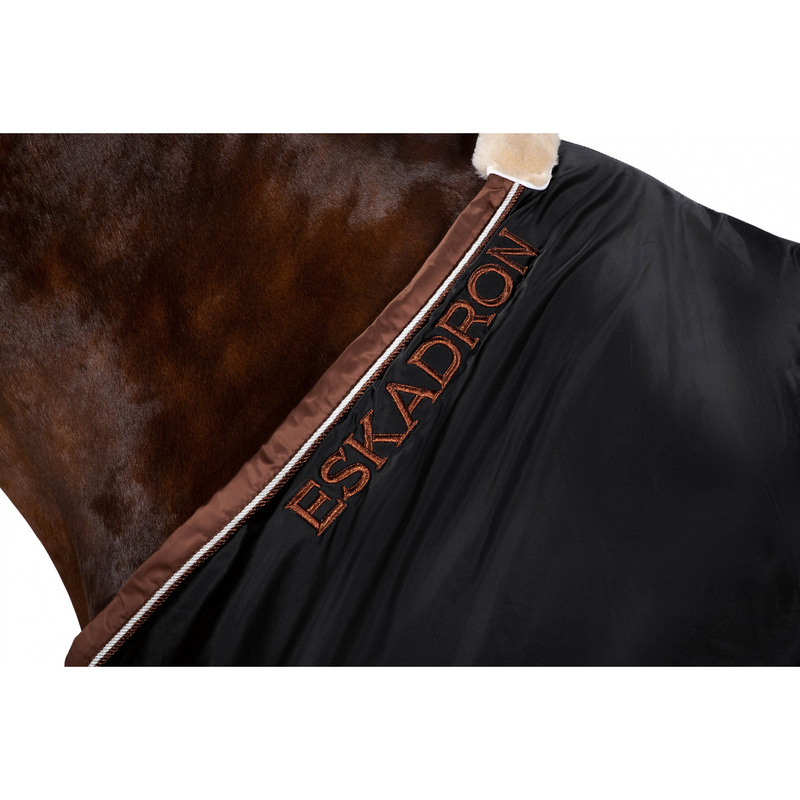 It also has an Eskadron inscription on the collar.